I, Noriko, the founder of Washocook, noticed that there could be lots of opportunities to teach Japanese cooking to foreigners through my experiences during working for international companies and traveling abroad for years. Foreigners usually think cooking Japanese cuisine is not very easy though they are interested in incorporating Japanese foods into their daily meals. In addition, if they can learn Japanese culture and experience Japanese home through Japanese cooking, it would please them. 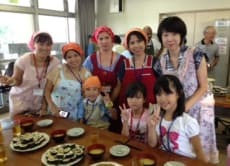 I would like to help foreigners connect to Japan and accelerate cultural and verbal exchange (with each other: people from various countries and Japanese) through “Japanese Cuisine” as our culture. Enjoy Cooking Japanese Food in English near Sagami-Ono! I loved this class! I recently moved to Japan and had no idea how to use my kitchen or what to buy at the grocery store. I included this information in my booking, and the instructor taught me how to make basic, everyday Japanese meals. The instructor and her assistant talked me through every step, and they answered all my questions about Japanese kitchens and cooking! I'd recommend this class to anyone! This was very fun, creative and just all around a pleasant experience. Our instructors were very friendly and polite and always helped us when we needed it. 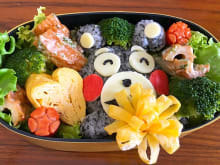 I love the idea of chara-ben (character bento) - definitely a useful skill! But to be honest, our instructors are the ones who made this lesson worth its money! Cause they were awesome!! Would recommend to couples or groups of friends cause it's quite a bonding experience (especially if you like anime).